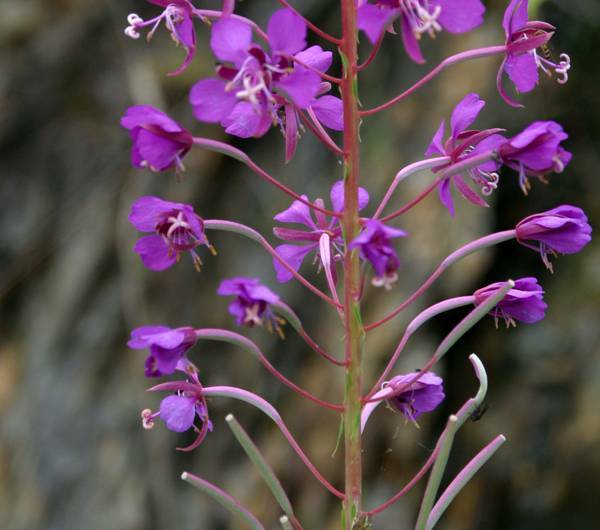 Rosebay Willowherb, a tall and gregarious wildflower, is also referred to as Fireweed. Some authorities still refer to this species by its synonymous scientific name Chamerion angustifolium. 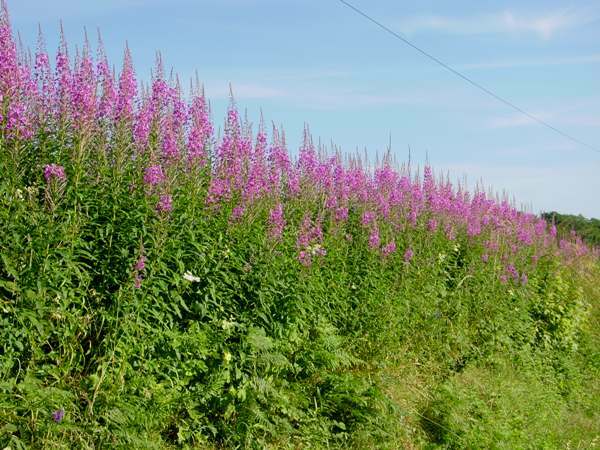 A perennial plant growing from rhizomes, Rosebay Willowherb has red-tinged stems typically 1.5m tall but occasionally growing to well over 2m. The narrow lanceolate leaves are alternate and arranged spirally around the stems. Spire-like inflorescences bloom progressively from bottom to top, with individual flowers 2 to 3cm across. Each flower has four pink or magenta petals and four narrow pink sepals. The protruding styles each have four stigmas. 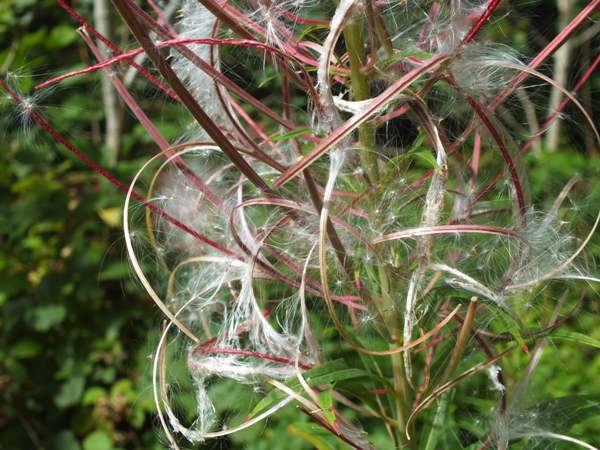 Common and widespread throughout England and Wales but less so in Scotland and Ireland, Rosebay Willowherb Epilobium angustifolium can also be found in most parts of the temperate world. 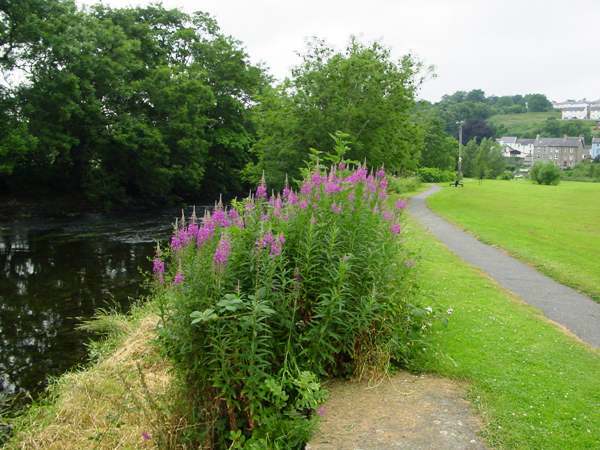 Rosebay Willowherb generally grows in large clumps, often lining the roadside in bright pink late in the summer, but it is equally at home in riverside locations where Great Willowherb is also commonly seen. From June until early September the flowers open progressively and are succeeded by long narrow seed pods which curl open from their tips when ripe to release tiny seeds with fine white fluffy hairs that are dispersed on the wind. 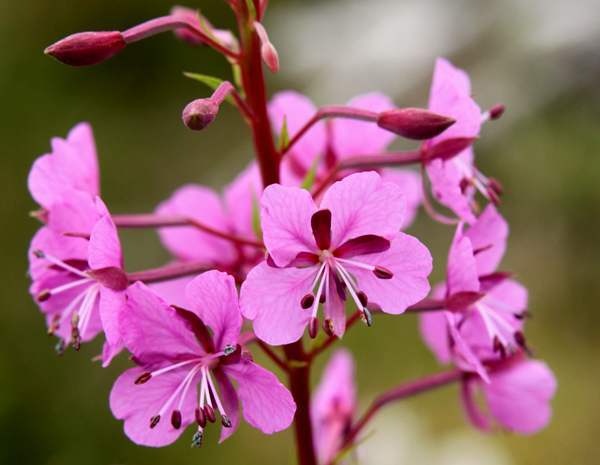 There are many other members of the willow-herb family including Great Willow-herb, another large perennial, and Marsh Willow-herb, which is a much smaller and more delicate species.